The acceleration clause in a mortgage contract states that the entire balance of the debt is due and payable in full should the mortgagee default on the mortgage. The acquisition cost combines the purchase price with the estimated closing costs of the home. An adjustable rate mortgage is also referred to as an ARM. This type of mortgage includes a lower initial rate of interest that changes after a predetermined time has passed and it is adjusted periodically. At that point, the interest rate increases according to predetermined conditions that were selected at the origination of the mortgage. This type of mortgage is also referred to as a variable mortgage. Amortization is the scheduled payment of a loan or debt through systematic monthly payments that are equal in value and continue on a scheduled basis (monthly) until the entire mortgage is repaid in full. The details for each payment over the course of the mortgage are listed in an amortization schedule. Additionally, the payments are separated into the portions allotted for the principal balance and the interest charged. The annual percentage rate is also referred to as the APR. As required by the Federal Truth in Lending Law, lenders must present potential borrowers with the APR or annual cost of the mortgage. The annual percentage rate should accurately reflect the cost of obtaining and holding a mortgage for an entire year. The APR is designed as a comparison tool so that potential borrowers can select the mortgage that provides the lowest annual cost, provided that they qualify for it. An application fee is the amount that a lender charges the borrower to process his mortgage application. This fee does not include all of the costs associated with obtaining a mortgage, nor does it guarantee the borrower approval for the mortgage. Appreciation is the term used to indicate the increases in the value of a property due to fluctuations in the market or improvements and renovations. Assets are used to refer to any property of value. An assumable mortgage is one in which the buyer can take over the existing mortgage when a property is sold. A balloon mortgage is a mortgage that includes fixed monthly mortgage payments for a predetermined term or number of years. After this time has passed, the balance of the mortgage is due and payable in one lump sum or balloon payment. Typically, this final payment is very large. Borrowers who expect to come into a financial windfall years down the line might be interested in this type of mortgage. A balloon payment is the final payment of a balloon mortgage. It is typically a sizeable amount. The bill of sale, a legal document, transfers the title to the property from one individual or entity to another. A biweekly mortgage is a mortgage that requires the borrower to make mortgage payments biweekly or every two weeks. This practice leads to the equivalent of thirteen mortgage payments per year, reducing the principal balance of the mortgage more quickly than twelve payments a year would. A blanket mortgage implements the use of more than one property as collateral for the mortgage. A bridge loan is used for short-term financing issues such as the acquisition of a mortgage prior to the acquisition of the funds intended to pay for the mortgage. A clear title is one for which no other owners have been found for the property and unexplained liens or legal issues do not exist. The closing is the term that refers to the final transaction relating to the transfer of the property and its title. Closing costs are those that are paid during the finalization of the purchase of real estate, which is also referred to as the settlement. Typically, closing costs include such fees as an origination fee, recording fees, document fees, points, the cost of the title insurance for the property, the payment of real estate taxes either in repayment to the seller or for the escrow account, the cost of the title insurance for the property, fees for any surveys that have been taken, attorney fees (if applicable), and the repayment of real estate taxes. Closing costs can also include other fees such as the payment of insurance on the home. In some cases, the seller might actually pick up some of the closing costs for the buyers, depending on the agreement. Collateral is the property that is used to secure the mortgage. With home sales, the real estate property that has been purchased is used as the collateral for the mortgage. If the loan is not repaid in full, the home or real estate property is often repossessed by the lender to recover the debt. A construction loan is one that covers the cost of construction. It is usually a short-term loan that advances funds to the builder during the time the home or building is under construction. A conventional mortgage is one that has no additional guarantees for repayment beyond the property itself. This means that no guarantees have been offered through FHA or the VA. Conversion options allow certain loans to be changed after their origination. Predetermined conditions must be met as required by the terms set up at the origination of the mortgage. Balloon loans and adjustable rate mortgages are examples of mortgages that have conversion options. The borrower’s credit score is important since it is used to help determine the worthiness of the borrower as a credit risk. Credit scores are based upon the current and past credit histories of consumers. The credit report includes information from many areas including credit card usage, bill payment history, loan history, bankruptcies, employment, and more. Credit scores assist lenders with the difficult task of determining the risk factor associated with specific borrowers. A deed is a legal document that indicates ownership of a piece of real estate. This document transfers the title of a property that changes hands from one owner to another. If the homeowner defaults on his mortgage and is faced with foreclosure, he can present the lender with a deed in lieu to cover his financial obligation to the mortgage. A deed in lieu allows the homeowner to avoid foreclosure and the stigma associated with it. If a homeowner defaults on his mortgage loan, he fails to make his monthly payments in full. In cases where the real estate taxes are collected along with the monthly mortgage payment, the homeowner also defaults on his real estate taxes when they become due. In relation to mortgages, delinquencies refer to late payment of the monthly mortgage payments. It can also refer to the failure to pay at all. Depreciation is the term used to indicate the decreases in the value of a property due to fluctuations in the market or failure to maintain the property. The down payment associated with a mortgage is the amount of money (whether cash or check) that the borrower pays towards the purchase price of the house or real estate property. Typically, the down payment is paid at the closing or settlement. In some cases, a piece of real estate might refer to an easement in the deed. The easement gives someone other than the owner access to the property. If the neighboring property does not have direct road frontage, the deed might list an easement for this property owner so that he can gain access to his property. The equity of a home is the difference between the current market value of the property and the total amount borrowed on the property. In general, lenders set up an escrow account to hold money that has been collected each month along with the loan payment. It includes a percentage of the money that needs to be paid toward property taxes and insurance. The lender will then make the payments at the appropriate time. Learn more about escrow in the Nevada Home Buying Process. Fannie Mae is a short way of indicating the Federal National Mortgage Association or FNMA. It is a large supplier of mortgages for the entire nation. The FHA or Federal Housing Administration is an agency of the United States Department of Housing and Urban Development or HUD. It guarantees certain loans obtained by qualified buyers. Obviously, the first mortgage is the one that the borrower has taken out on the property before any other mortgages or loans. This mortgage or loan holds the primary lien against the property and the holder of this mortgage has first claim for repayment of the mortgage should the home go into foreclosure. A fixed rate mortgage is also referred to as a traditional mortgage. This type of mortgage is one in which the mortgage payment is a specified amount that never fluctuates. The interest percentage charged against the borrowed amount remains the same throughout the term of the mortgage. The amount of the mortgage payment that goes toward the principal will gradually increase as the amount of the mortgage payment that goes toward the interest gradually decreases. Floating is the term used to describe the borrower’s strategy not to lock in the interest rate for the mortgage he has applied for. Forbearance is the term used to define the postponement of the mortgage payments when a borrower is delinquent on his payments. The time between the origination of the mortgage and the final due date for repayment might also be lengthened. A foreclosure is what occurs when the borrower can no longer meet his monthly mortgage payments. The lender typically sells the property so that he can recoup his investment. The Best Faith Estimate is an estimate provided by the lender to the borrowers. It delineates an estimate of the total costs of securing the mortgage. Borrowers are usually permitted 15 days grace for making late mortgage payments without incurring a penalty such as a late fee. The grantee is the individual who is receiving the property in question. The grantor is the individual who is selling the property in question. A home equity conversion mortgage or HECM is also referred to as a reverse annuity mortgage. The homeowner receives cash on the basis of his existing equity in the home. This money does not have to be repaid until the homeowner no longer resides in the home. A home equity line of credit or HELOC allows a homeowner to borrow money based on the existing equity in the home. This type of loan takes second place to an existing mortgage. Homeowner’s insurance is usually required by mortgage lenders to protect their investment. They are typically listed on the homeowner’s insurance policy. The homeowner’s insurance provides hazard insurance as well as liability insurance. A homeowner’s warranty is an insurance policy on the home that covers certain types of repairs for a predetermined time. Occasionally known as a Settlement Statement, Closing Statement, or Settlement Sheet the HUD (Housing and Urban Development 1 Settlement) is a form that itemizes and lays out all fees and services that a borrower is to be charged by the broker when initially applying for a loan for the express purpose of purchasing real estate. In simple terms, it gives a complete list of where the impressively long list of charges come from when getting a loan. Currently, the form is required to be used in the United States of America as a standard in all transactions involved in federal mortgage loans. However, the form has become an industry standard in most of the nation, including Las Vegas. This means anyone purchasing Las Vegas real estate will likely encounter this form near the end of the buying process. Generally, the form will be provided by the closing agent to the borrower. It is very important that the buyer carefully look over the form and verify everything looks correct. The settlement form will be filled out by a settlement agent who will later conduct the settlement. Typically, lenders require that homeowners obtain homeowner’s insurance as a way of safeguarding their investment. The lender is listed as the primary beneficiary on the insurance policy. Should the home be destroyed or damaged beyond repair, the lender can collect the balance of the mortgage from the insurance company. The interest associated with a mortgage is the fee that the lender charges on a monthly or annual basis for loaning the money to the borrower. This fee is a percentage of the total amount that has been borrowed. In an interest only mortgage, the borrower pays only the interest that is due on the mortgage for the first term of the loan. This term is predetermined at the origination of the loan. Ten-year terms are very common for this portion of an interest only mortgage. After this term has passed, the mortgage converts to a fixed rate mortgage with fixed monthly payments that include both the principal and the interest portions of the mortgage. A lender is the individual, bank, or company that is offering the mortgage to the borrower. A lien refers to a claim that one party has against another as security for a debt. In most cases, the lien is held against the property. When a homeowner borrows money using his home as collateral, a lien is created against the home for the value of the loan amount. Basically, it is a claim that is held against the property. The lien must be repaid whenever the home is sold or destroyed. Late fees are monetary charges that are assessed on a mortgage debt to borrowers when they are late making their mortgage payments. A loan balance is the amount of money that it would take to satisfy the loan debt in full. It is often referred to as the principal amount plus the interest that is due. The loan term varies from one loan to the next. It is defined as the number of years that a loan is going to be held or amortized. The most popular loan terms are fifteen, twenty, or thirty years. A merged credit report is formulated from credit reports obtained from more than one credit bureau. A mortgage is a binding financial agreement between two parties, the mortgagee and the mortgagor. This legal transaction is a loan from one party to the other, typically for a piece of real estate. The mortgagee refers to the lender in a mortgage agreement. A mortgage broker is the individual or company that originates a mortgage or loan between the borrower and lender. The mortgagor refers to the borrower in a mortgage agreement. Negative amortization occurs when a borrower pays less than the amount due on a loan or mortgage. As a direct result, the loan balance does not decrease as it would otherwise with proper payments. Origination fees are those that the lender charges the borrower for processing his loan application. Owner financing occurs when the seller finances the loan or mortgage. The mortgagor makes the payments for the loan to the seller who is also the mortgagee in this case. PMI is short for private mortgage insurance. This type of insurance is often required by the lender in order to protect his investment. PMI protects the lender’s monetary investment in case the borrower goes into default on the loan. The payments for PMI are usually included with the monthly mortgage payment. Points are typically charged when a borrower acquires a mortgage. It is simply one of the fees associated with the process. In most cases, a borrower can pay additional points in order to obtain a lower interest rate. Each point is equal to 1 % of the amount of the mortgage. One example would be the following scenario. The borrower acquires a mortgage for $100,000 at 3 points. Since each point is equal to 1 % of the amount of the mortgage, the borrower owes $3,000 or 3% of the mortgage. The lender charges the points. Points can be negotiated by the lender and the borrower for a specific interest rate and term within the limits that the lender is offering. Prime rate is the term used to describe the best or lowest interest rate, which is typically offered to borrowers with excellent credit histories. The term, principal, is used to indicate the total amount of debt, not counting the interest charges that are due on it. Assessed by local or state governments, property taxes are assessed on the value of the home. Homeowners pay these taxes on an annual basis according to a predetermined timeline. A quitclaim deed is one in which the grantor transfers whatever rights he has in the title to a property. It does not provide a guarantee that no one else has any claim to the title. The recording fee is an additional charge that covers the cost to record the documents relating to the mortgage. Typically, this transaction takes place at a public office such as the recorder’s office. A reverse mortgage is one in which the homeowners receive money from a lender based on the equity of their home, which is used as collateral. Initially, they do not need to repay the loan. In fact, the loan is not repaid until the home is sold or the homeowner no longer resides in it. Refinance is the process that occurs when a borrower pays one loan off with the acquisition of a new one. A secured loan is one that is acquired by offering collateral for the loan. In the case of home mortgages, the home is offered as collateral or security for the loan. A senior loan is the loan that takes precedence over all other loans. In the event that the homeowner defaults, this loan is paid off first. A tax lien is placed against a property when unpaid taxes are past due. A title is a legal document that indicates an individual’s ownership of a specific piece of real estate. A title company performs searches on titles to properties to ensure that the individual who claims title to a property actually has it. Title insurance protects the homeowner against any errors that occur during the title search. This includes disputes that might arise over property ownership. A fee is required to obtain title insurance. A title search is the actual process of checking records on the property in an effort to verify that the seller is the actual owner of the property. Transfer tax is the tax that the state assesses when a title is transferred from one owner to another. The Truth in Lending Law requires lenders to provide potential borrowers with the actual costs of borrowing money. The annual percentage rate is the figure that lenders provide to indicate the annual cost of obtaining a loan. A variable rate mortgage is another term for an adjustable rate mortgage. With this type of mortgage, there is a lower initial rate of interest that changes after a predetermined time has passed and is adjusted periodically. 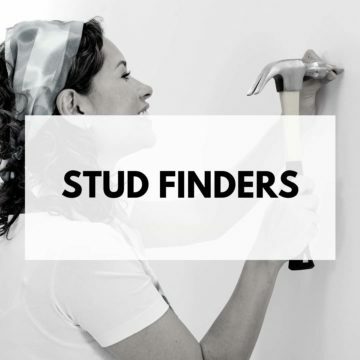 Be sure to have a stud finder if you are working on projects around the home. This is a tool that every homeowner should have for those fix-up projects and home decor. 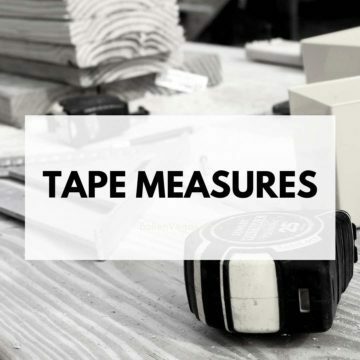 Be sure your tool shop includes handy tape measures for those DYI home projects. You can shop for a variety of tape measures here and have them delivered quickly to your house. 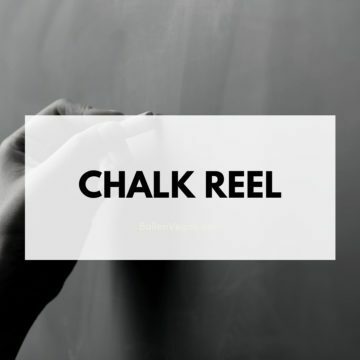 A chalk reel is essential to any home do it yourselfer’s tool shop. Here’s a selection of chalk lines you may be able to pick up quickly.